NOTE: This conversion is only needed for a Dragon's Lair Rev. A PCB to be able to use an actual LD-V1000 laserdisc player. This conversion is not needed for the installation of a Dexter, LaserCon Merlin, Hi-Tech, or LaserAce conversion device. These devices all work perfectly with a Rev. 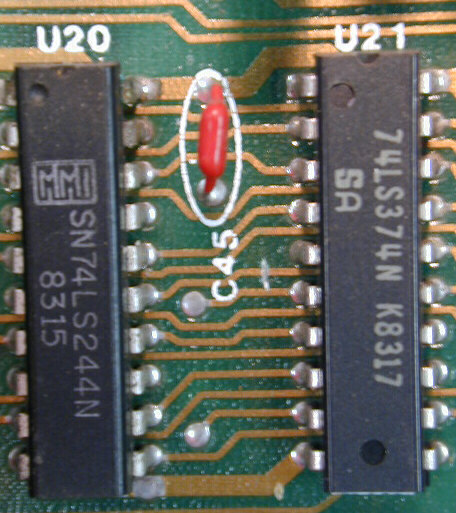 A PCB still in its original PR-7820 mode. Early Dragon's Lair games used the Pioneer PR-7820 laserdisc player. 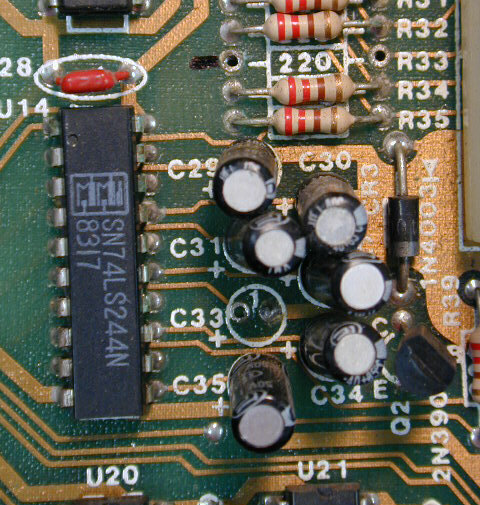 Plagued with problems, this player was later replaced with the Pioneer LD-V1000 and a revised logic board. This document will show you the steps on how to convert your 7820 boardset to work with the LD-V1000 as well as an in-depth look at how the two laserdisc players communicate with the logic board. LASERDISC PLAYER COMMANDS - The command set for the two players is similar. They are summarized in the table below. 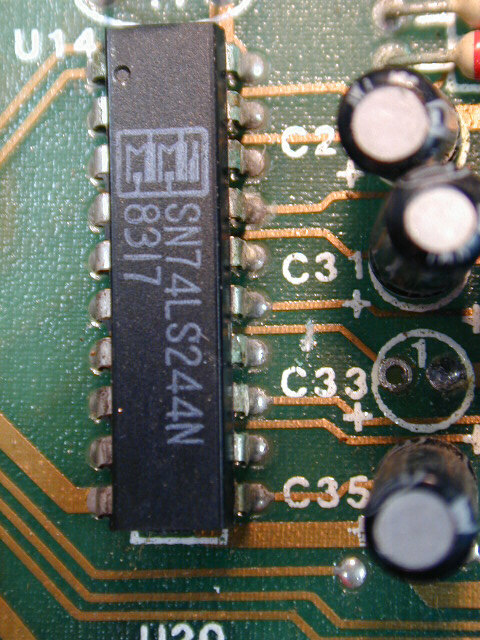 The PR-7820 commands can be found in APPENDIX A on page 21 of the PR-7820 PROGRAMMING REFERENCE GUIDE. The LD-V1000 commands can be found in Figure 5 on page 10-11 of the LD-V1000 INTERFACE GUIDE. The main difference control-wise between these two players is the way they communicate on the bus. The PR-7820 only has a one-way communication bus. It can receive Command Codes, but it cannot return any Status Codes. The LD-V1000, on the other hand, has a two-way communication bus. It can receive Command Codes and it can return Status Codes. Figure-10 on page 19 of the LD-V1000 INTERFACE GUIDE lists all of the possible Status Codes that the LD-V1000 can return. Status feedback from the Laserdisc Player is important because the game needs to know when a SEARCH Command has finished. Once a SEARCH is finished the game will send a PLAY command and allow the user to begin playing that scene. The LD-V1000 indicates that the SEARCH has finished by returning the Status Code $D0 (SEARCH_FINISHED). The PR-7820 indicates that the scene has been found by forcing the READY line low. It is this fundamental difference that requires that there be unique hardware and software for communicating to each of these players. HARDWARE - There were two main versions of the hardware regarding the disc player interface. The first version was designed to work only with the PR-7820. According to the Dragon's Lair Manual, this version has serial numbers below 6000. A later revision incorporates a change that allows the hardware to be configured to work with either the PR-7820 or the LD-V1000. This change can be found on boards with serial numbers above 6000. The disc player interface is composed of U20, U21, and U16. In games with Pioneer 7820 disc players, U16 feeds both the ENTER+ and the INT / EXT signals to the disc player. The signal OUT DISC DATA+ at U16-5 is fed to the output enable pin at U21-1. U21 is used to send control words to the disc player. U20 is not used with the 7820. Games with 7820 players should have board serial numbers below 6000. In games with the Pioneer LD-V1000 player, the only signal sent to the player from the Z80 is the INT/EXT signal generated at U16-9. The ENTER+ signal is returned from the disc player and is fed to U14-6. U16-5, the output disc data signal, goes high, disabling U21, when the Z80 wishes to read data words from the disc player via U20. 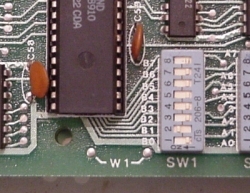 Games with LD-V1000 players should have board serial numbers above 6000. ADDITIONAL INFO - The game's schematic labels the disc interface signals differently than the Laserdisc Player manuals do. For clarity, the names are summarized in the table below. WARNING: Although the Pioneer LD-V1000 and Pioneer PR7820 series players use Amphenol type, 24-pin connectors, interfaces designed for the PR7820 are not likely to be compatible with the LD-V1000 unless they have been suitably modified. Interfaces not specifically designed for the LD-V1000 Player may damage its output drivers. The LD-V1000 INTERFACE GUIDE adds a brief tidbit in Figure 1 on page 2 concerning the communication differences between the two players. ** Note: Directional change from PR7820. *** Note: Functional change from PR7820. The table and the notes at the bottom show that the STATUS STROBE (ENTER on the schematic) comes out of the player on the LD-V1000 and goes into the player on the PR-7820. This explains the importance of the hardware change. The ENTER signal (INT/ENT on the schematic) is only a "Functional change" between the players, so it only requires a software change. The function of the ENTER line becomes more apparent below when analyzing the game's software. You can see here that the Command is placed on the bus and then the ENTER signal is toggled low for a short delay to act like a "finger press" on a control button. The PR-7820 sets the READY signal line low to indicate that it has finished executing the command. Communication with the LD-V1000 is detailed on page 13 of the LD-V1000 INTERFACE GUIDE. The advantage of the LD-V1000 is that not only will it tell you when it has finished executing the command, it will also tell you if it was executed successfully or not. If the command failed, the software will attempt to send it again. You should set jumper W1 according to the pictures below. 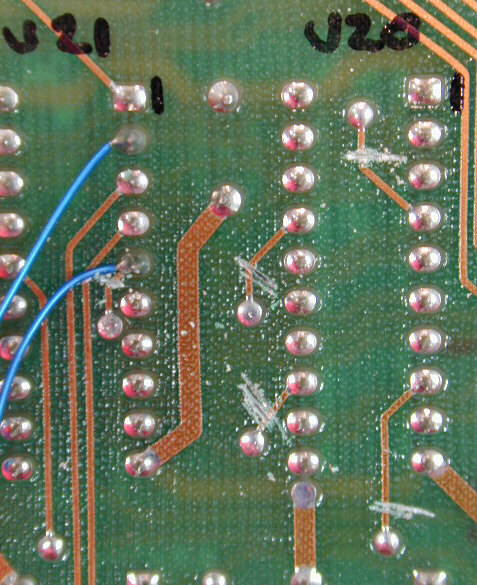 A short piece of wire and a soldering iron should do the trick. Once you have the hardware jumper configured correctly, you'll need to read ahead and verify that you have the correct software and DIP settings. OLDER REVISIONS: BOARD HACK - If you have an early version of the board that only works with the PR-7820 and you wish to update it for use with the LD-V1000, then the changes are slightly more involved. 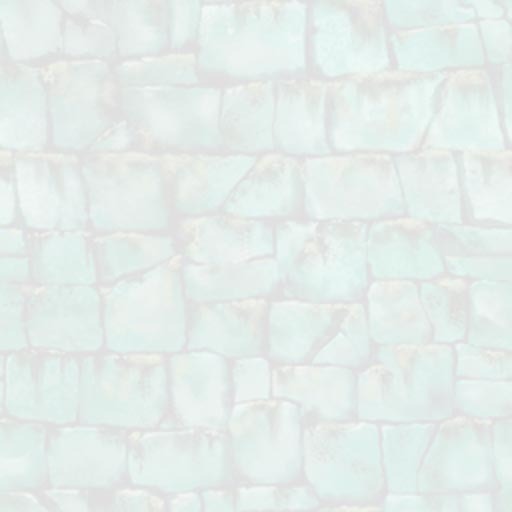 While there were many changes done between the two hardware revisions, not all of them are required for updating the player. The two changes below are only the changes that are needed to update the disc player interface. The modification accomplishes two things. First it rearranges the input to U-20 (74LS244). Secondly, it converts the ready line from an output to an input. The differences can be seen schematically by comparing the disc interface section of the revision E schematics and revision K schematics in your manual. CHANGE #1: ENTER SIGNAL - The first change that needs to be made is with the ENTER signal. For the PR-7820 it was required that the ENTER signal be an output from the game to the player. 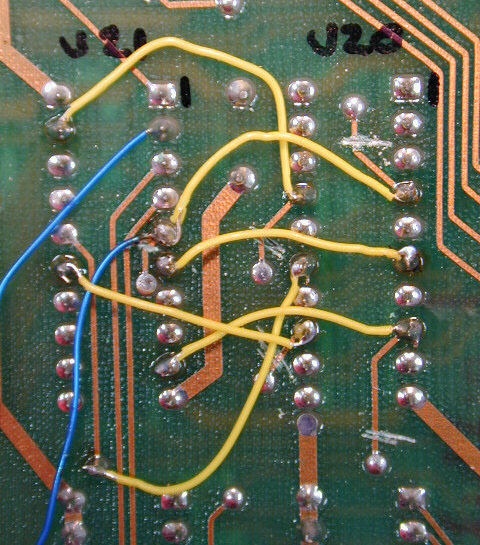 The signal comes out of U16-pin 6 (output IC) and goes out to the player via J1-pin 2. In order to use the LD-V1000, this signal must be changed to an input. 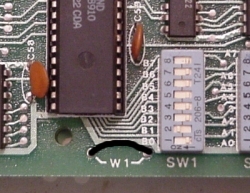 The ENTER signal should be changed to enter via J1-pin 2 and feed into U14-pin 6 (input IC). The steps needed to accomplish this change are listed below. 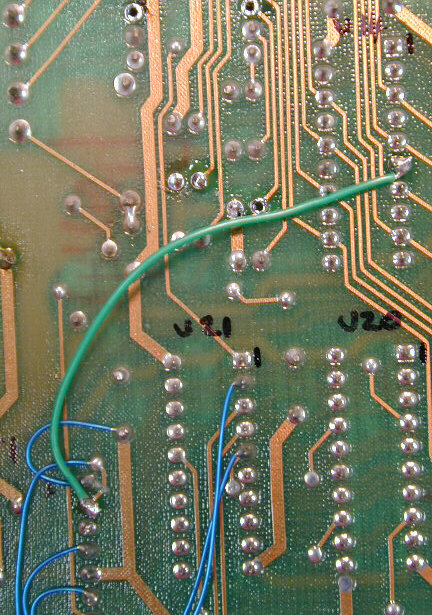 TIP: Marking the locations of J1, U21, U20, U16, and U14 on the solder side as well as marking the locations of pin 1 will help you locate the components without repeatedly flipping the PCB over. 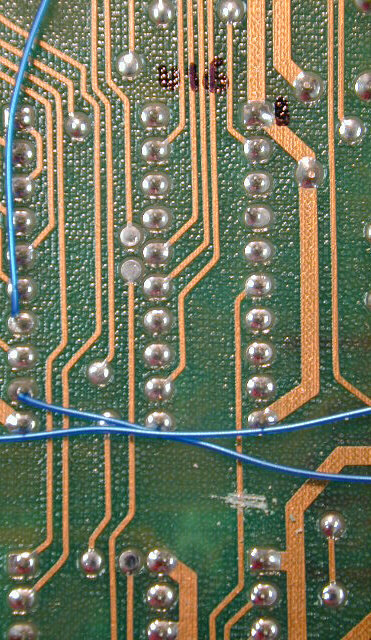 1) Cut the trace out of U16-pin 6.
it appears that the cut has been repaired with a solder blob. TIP: Removing C33 should make it easier to get to the traces. It's interesting to note that the input signal that you will be replacing in steps 2 & 4 is the FAN input which is not used. Removing R33 and C33 disables the FAN input. The table below compares the erred pinning on U20 with what it should be with reference to U21. You can find a detailed drawing of the cuts and jumps on the CINEMATRONICS SERVICE BULLETIN NO.84-2. I highly recommend that you obtain versions E and K of the schematic and become familiar with all the components and traces in the area that you will be modifying. Once your hardware is setup to use your player of choice, you MUST make sure that your software will work with that player as well. It is advised to use Dragon's Lair ROM revision F, F2, or the Dragon's Lair Enhancement ROMs. Also, be sure your DIP switch settings are correct per ROM revision. The user is solely responsible for any and all adverse effects resulting from the use or misuse of the information described above.